I am exceedingly frustrated after recently running into my own copycat. A few days ago, I learned that my professional writing services, which are offered only through my EmeraldCut | The Introverted Writer Etsy shop, have been plagiarized by another seller on the site (whom I have reported to Etsy*). This act of plagiarism infringes upon my intellectual property, as this seller has copy and pasted my writing service's listing descriptions directly into their shop listings and used my words as their own--including changing words around, deleting a word and injecting their own in its place, and even keeping entire phrases, sentences, and timelines that I myself have developed over time as a professional writer. As you know, integrity and honesty matter a lot to me personally and as a seller/writer. I take great pride in crafting quality writing services for my clients, and have even documented the evolving process in this blog. With a Master's degree, I possess the academic training to clearly articulate the words that oftentimes do not readily present themselves, allowing for a well-crafted written work. In other words, I hold my writing to an extremely high standard, and do not take this plagiarism lightly. A cease and desist letter has been emailed to the plagiarist to remove my words--this is a resolution that will not need Etsy's intervention. Etsy has a stringent intellectual property policy, so in this cease and desist letter, I have clearly outlined the issue at hand and strongly encouraged this seller to remove my writing from their site before Etsy becomes legally involved. Unfortunately, I am not alone in being plagiarized. If you'd like to help spread the word about this widespread issue, please share this blog entry on your social media accounts. *An Etsy seller's intellectual property is clearly protected under Etsy's Copyright and Intellectual Property Policy, which you can read here. The plagiarist seller has claimed innocence, stating that any "inadvertent overlap" is coincidental. He/she has only deleted the words, phrases, and sentences that I have pointed out are my intellectual property. Copying and pasting someone else's writing to use as a template (and retaining its ideas) is stealing--it is not an "inadvertent overlap"! I've forwarded this correspondence to Etsy's legal and integrity departments as further evidence. After six exhausting emails back and forth, the plagiarizing seller has finally changed some of his shop listings' wording, but has still kept certain phrases and words of mine (the latter of which have retained the same all-capital-letters emphasis that I placed on them in my own listing descriptions!) that I didn't directly point out. This means that he is still plagiarizing my work. The fact that the plagiarist's listing descriptions have been changed multiple times upon my insistence (via a cease and desist letter) is strong evidence for my case that this seller has copied my writing and attempted to claim my words as his own. If there was no question of plagiarism, then this seller would have no need to edit any of his listings' writing--and I would not be in this situation, pursuing this case. In truth, it was because of the cease and desist letter that any changes were made at all. This case will still be sent to Etsy legal for investigation. I've sent the evidence and filed a formal complaint pertaining to this case to Etsy legal for investigation, and am awaiting their reply. If Etsy finds plausible evidence in my favor, then the plagiarist's shop will either be shut down, or its listing descriptions removed entirely. Etsy has removed the plagiarist seller's listings that contained my intellectual property--which specifically included layout, subheadings, sentence structure, wording, word usage, use of the same all-caps format for specific words in subheadings and in sentences, and thought process. And this was evidence of plagiarism that was left after I had contacted the seller three times (plus sent the letter) to remove my writing from his listings. The formal complaint filed against this seller for copyright and intellectual property infringement will permanently remain in Etsy's system, so if attempts are made to plagiarize my writing again, I am certain that Etsy will take appropriate action on my behalf. As for myself, I have saved all correspondence and documents pertaining to this case, since I have no qualms with updating and resending evidence--if the need arises, and if this seller strikes again (which he has). I will refrain from additional documentation of this particular case because the information I have posted here has been, for lack of a better phrase, used for further plagiarism (thanks for the sleuthing, Google Analytics). It's the integrity of my writing and ideas that I am maintaining here. These words and ideas are not only what I wrote--they also originated with me; I edited them meticulously over the years, and it is my right as an Etsy seller per Etsy policy to fight against any plagiarists. 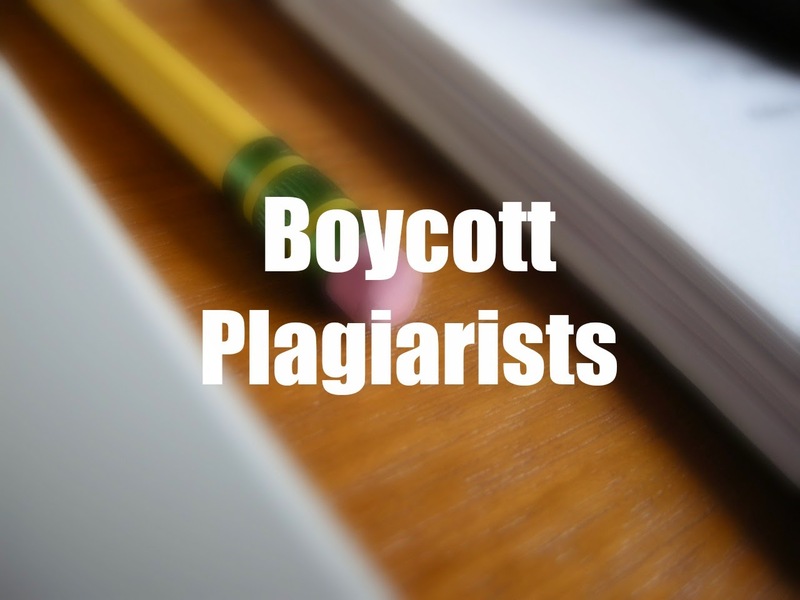 Any person who does not understand what plagiarism is needs to remember how they obtained the information. In this specific case, if the writing is copied and pasted DIRECTLY from another online source, and then some words are added and others deleted to suit the plagiarist's own agenda--but particular keywords, sentences, phrases, and emphases that the original writer wrote remain--then it is still plagiarism. This is basic English and Writing 101 information, nothing new. Thank you, Etsy, for fully supporting your sellers' intellectual property, completing this case in such a timely manner, and for trying to maintain a high standard of professionalism and integrity on your site. However, please work on backing your long-time sellers in the long-run by protecting their copyright and intellectual property in all cases of plagiarism. Thank you too, to those who have supported me in this fight. This is a widespread issue, so please spread the word!